One of the Top 10 Most Endangered Species of Cetaceans is Hector’s dolphin. In fact, it is the world’s number 6 most endangered species and faces a very high risk of extinction in the wild. This animal was named after Sir James Hector who was the curator of Wellington’s Colonial Museum, which is now known as the Museum of New Zealand. There are currently 2 subspecies of Hector’s dolphins that are recognised. They are C. hectori hectori which is found along New Zealand’s South Island, and C. hectori maui which is found along the western coast of New Zealand’s North Island. However, there are actually 3 genetically separate populations found around the South Island, and only 1 small population around the North Island. 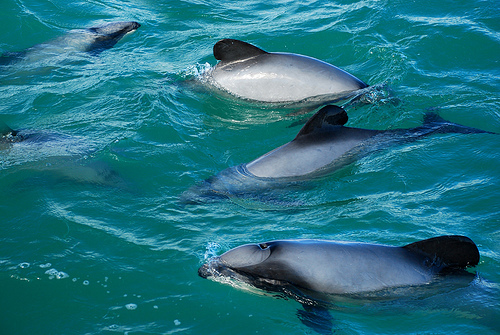 It is only endemic to New Zealand which means it has one of the most restricted distributions of any cetacean. They are found in shallow coastal waters. This animal is predominantly grey in colour. However, its face is dark grey to black. 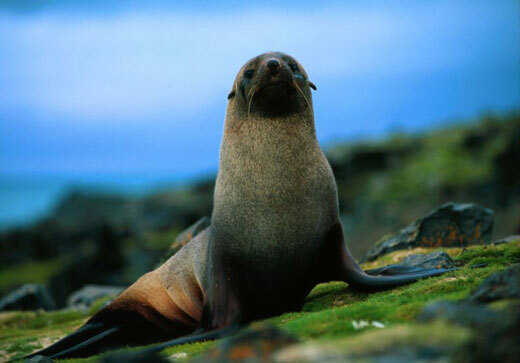 It has complex markings which includes a dark collar which extends from above its eyes to behind its blowhole. Its throat, lower jaw, and belly are white. The black marks on its face are continuous with that of its flippers. It continues in a line making a V shape until its midline. Part of its head start just behind the black lower jaw tip which is white, and the area behind its flippers to its urogenital area. They also have white patches extending up to its sides. Hector’s Dolphin are active animals. They readily bow-ride or porpoise next to vessels. 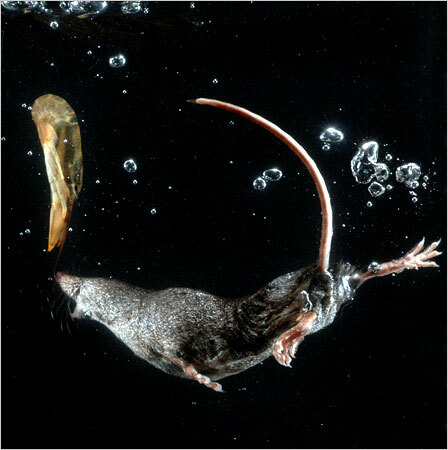 When they leap from the sea, they will usually land on its side creating a splash. However, horizontal and vertcal dive are less noisy. 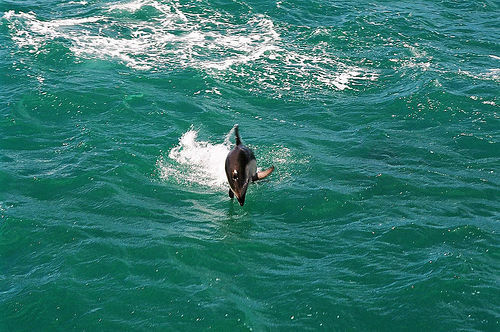 Recent surveys of Hector’s dolphin at South Island state there are 7,300 individuals. The North Island’s population is no more than 100 individuals. Both populations have been rapdily declining over the past 30 years and faces serious threats from humans. The most serious problem is recreational (not commercial) gillnet fishing. Fortunately, the number of the animals killed have slightly reduced due to the establishment of 2 marine sanctuaries.